It did not go well. 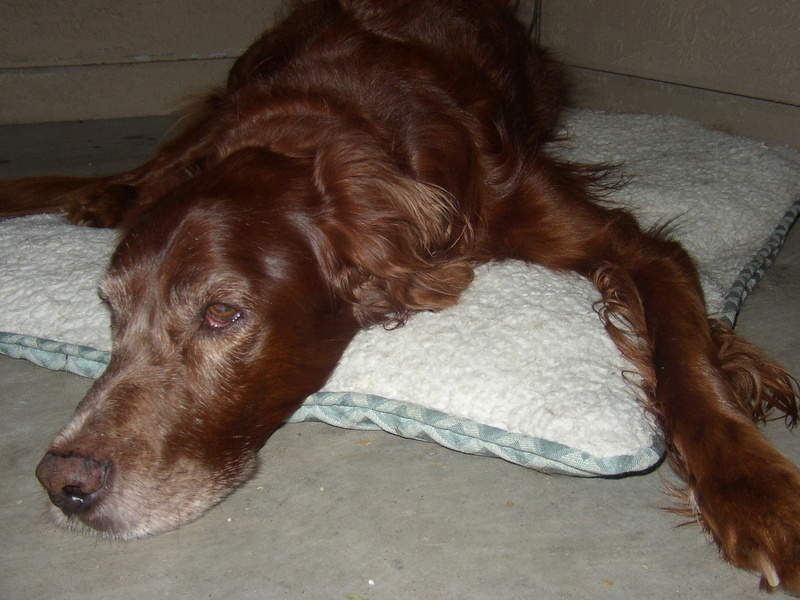 When we arrive Rose, our Irish setter, has a breakdown. She has some arthritis in her hips. Most of the time it doesn’t bother her much. However, when she got out of the SUV, her back legs collapsed and she couldn’t get up. Major panic time! After a few hours she could stumble around. I gave her three baby aspirins and that seemed to help. If Rose isn’t her herself by tomorrow, it’s a semi-hysterical trip to the vet. I’m thinking that some of her episode might be related to stress. Rose is very routine-oriented and truth be told her routine has been wrecked over the last few weeks with the garage sale, packing, selling the futon – one of her favorite nap places, her chair in the bedroom, and chair in Brian’s office. To top it off, she’s not getting her “Find It” game or veggie snack in the late afternoon.